Soleil Ho is the newly minted restaurant critic for the San Francisco Chronicle – making her one of the youngest in her field, and perhaps the first millennial restaurant critic for a major US publication. While pondering her newfound position (she might be the only millennial actually capable of killing Applebee’s), Soleil is more focused on a more practical task: finding an apartment and making the move to the Bay Area. 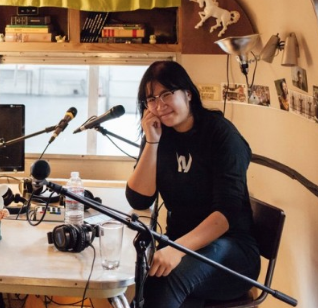 She sat down with Caity Moseman Wadler and Kat Johnson of HRN to talk about how she’s planning to take on the Bay Area’s food scene once she hits the ground running at the Chronicle. Heritage Radio Network is powered by Simplecast.